France’s Highest Hotel at 2,551m. Formerly a cable car station, the building has been carefully renovated to create a stunning luxury ski-in / ski-out spa hotel with thirty-four rooms and three apartments and an enviable location at the top of the Solaise Gondola with truly breath taking 360 degree views. The penthouse of the hotel Le Refuge de Solaise is exceptional and will be the highest apartment in Europe. The seven-bedroom penthouse accommodates up to sixteen people offering panoramic views, a gym, cinema room. The Refuge will only be accessible via the ski slopes and the new Solaise Gondola lift, offering guests privileged access to remarkable views of starry skies and fresh tracks before breakfast. 7nights available through SNO from £1,185pp on a B&B basis, Includes Heathrow-Geneva flights with SWISS and shared transfers, based on two sharing. Sister hotel to the award winning Koh-I Nor in Val Thorens, the Daria-I Nor is set to achieve the same high standards. Located in the Grandes Rousses Massif, Alpe d’Huez offering stunning panoramic views across to Italy. The hotel will comprise of forty-five stunning rooms each with a private balcony, two restaurants, eight hundred square metre spa, with two pools, two saunas and hammam. This beautiful five-star hotel will provide ski-in / ski-out access to the two hundred and fifty kilometres of piste within the Grand Domaine area, one of the best ski destinations in Europe. 7nights available through SNO from £958pp on a Half Board basis, cost includes, Gatwick-Chambery flights with Titan and shared transfers, based on two sharing. 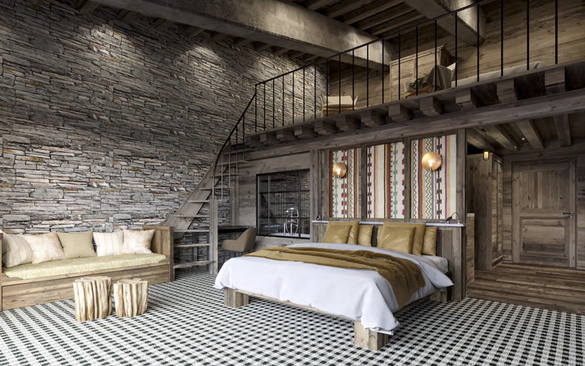 A new five star ‘eco resort’ situated just six hundred metres from both Champoluc and Frachey, five minutes away from one hundred and eighty kilometres of slopes operated by MonteRosaSki. Created for nature and sports enthusiasts, CampZero is a pioneering luxury active resort, where unique experiences and adventures are paired with luxury and comfort. CampZero has been engineered with natural materials, to create a resort dedicated to those who are passionate about the mountains. The hotel will have thirty suites with floor to ceiling windows and access to a private garden. The hotel also has an internal rock climbing wall and ice climbing wall in winter, spa, sauna, steam room, pool and two restaurants. 7nights available through SNO from £1,189pp on a B&B basis, cost includes Gatwick-Turin flights with Titan and shared transfers, based on two sharing a suite. Zermatt’s Matterhorn glacier ride will open this winter, improving the connection between Zermatt and Cervinia. It will be the world’s highest CS railway, serving Europe’s highest cableway station. For extra sparkle, Leitner Ropeways have partnered with Swarovski to create four ‘Crystal Ride’ cabins, which will be entirely encrusted in Swarovski crystals, with starry ceilings and glass floors. Zermatt offers plenty of luxury accommodation to choose from, such as Chalet Les Anges, which sleeps 14, has a private spa and was crowned World’s Best Ski Chalet in 2017. 4nights available through SNO from £2,667pp (based on 14 sharing). Val Kids area is opening in Val d’Isere for four to ten year olds. It will be a mini ski resort where children can learn about snow making, slope grooming and mountain rescue, and ‘drive’ a cable car. ABOUT SNO: SNO believe booking your ski holiday should be as exciting as going. Winner of the World Snow Award and Britain’s fastest growing ski travel business, they cover 200+ resorts in Europe, North America and beyond – including the world’s finest luxury ski chalets and hotels.